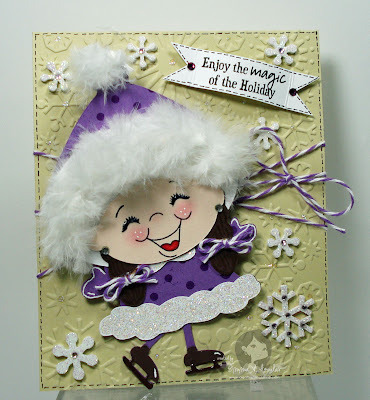 My Creative Time: "My" Favorite Top 10 cards of 2010! 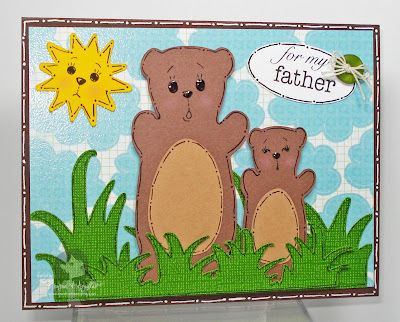 I chose this 1st card because I thought it came out SOOO PRETTY! 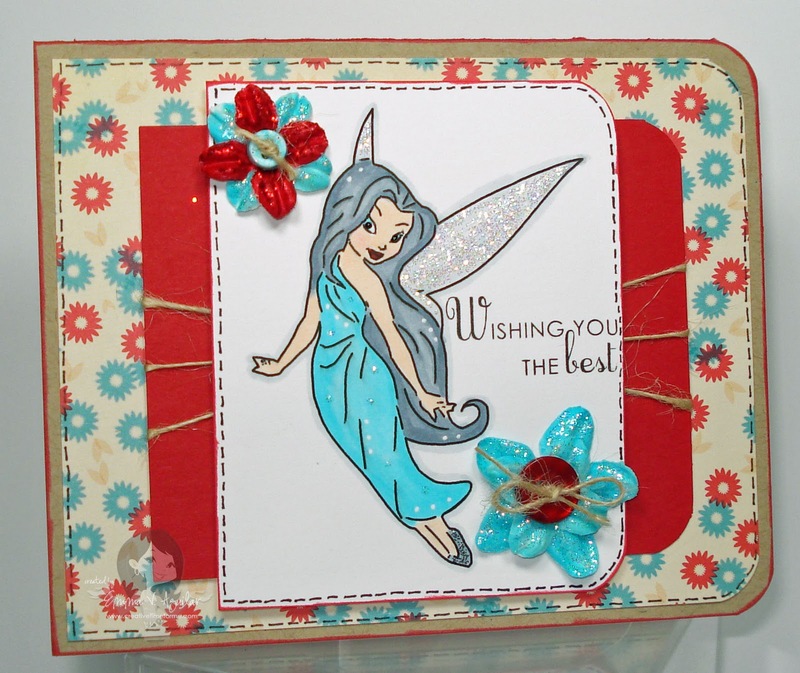 "Silvermist" is one of my Favorite princesses! I actually used the Crik-its gel pens to draw her w/my cricut & then I colored her in using my FAVORITE, Copic Markers! 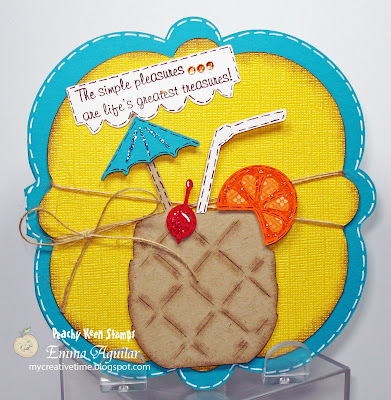 For my 2nd choice, I chose this "Tropical" drink card because I LOVED how it turned out! 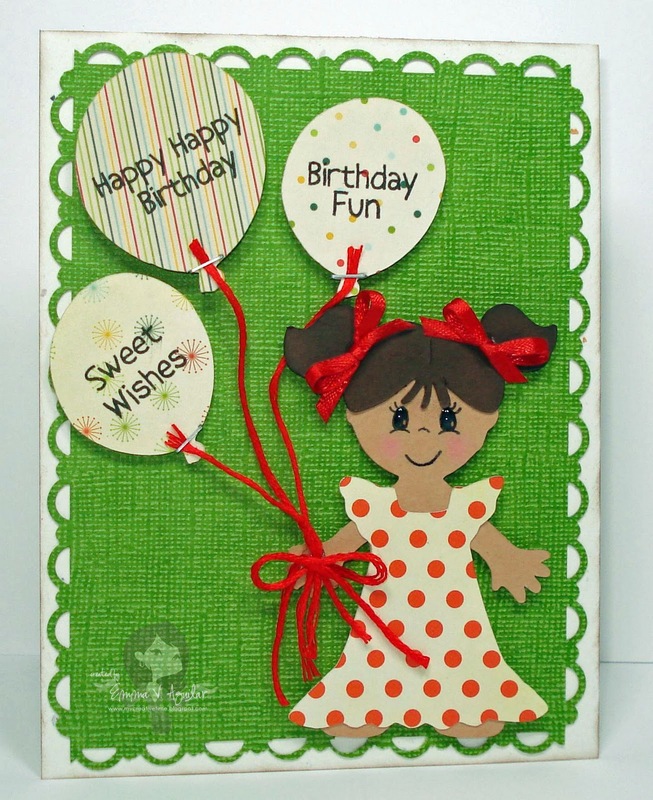 How could I NOT include this ADORABLE little girl using my ALL TIME FAVORITE~ "Everyday Character Faces"! 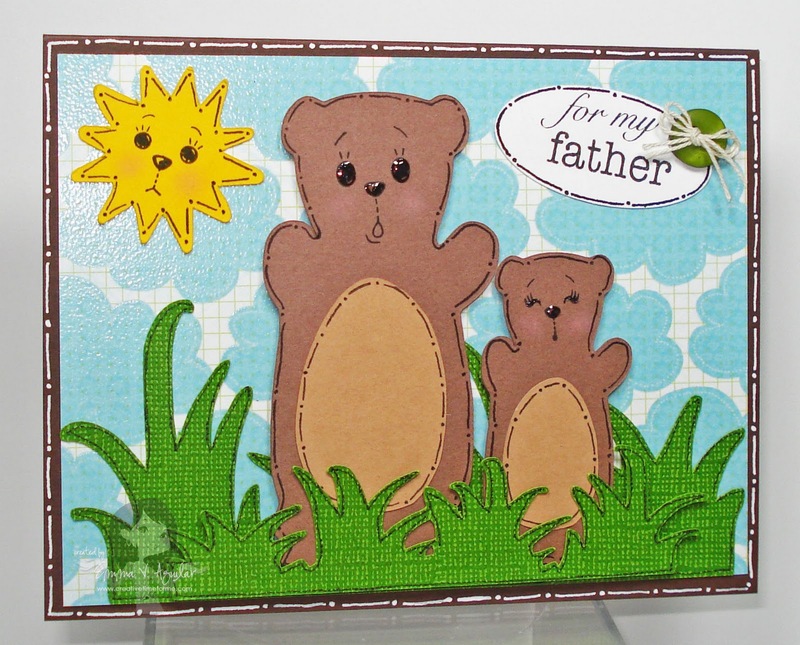 Those sentiments were PERFECT for this sweet card! They are from My Pink Stamper! 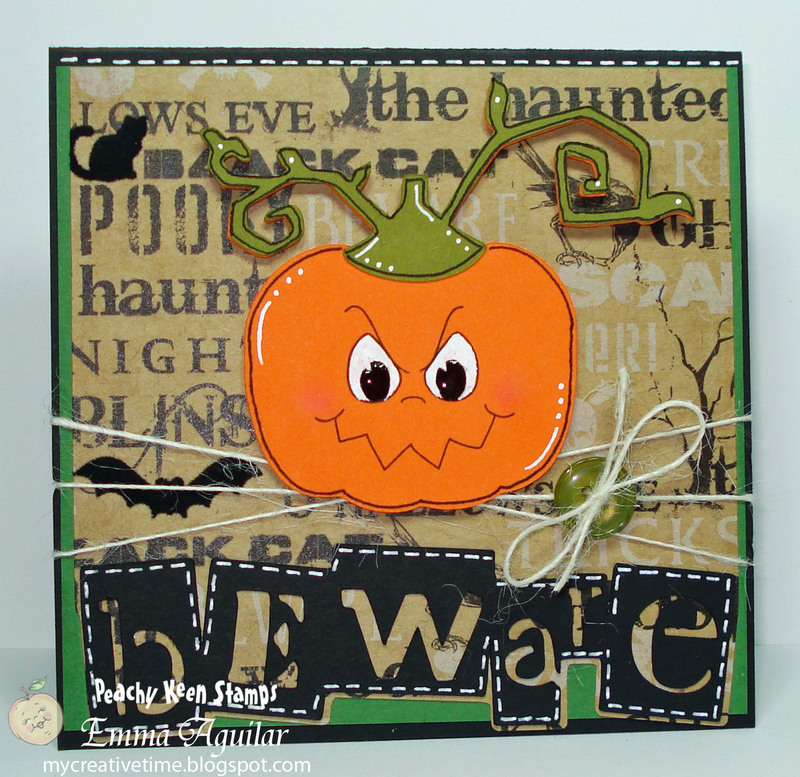 I think this is my FAVORITE halloween card! I think I love this just as much as my "Frankie" card! 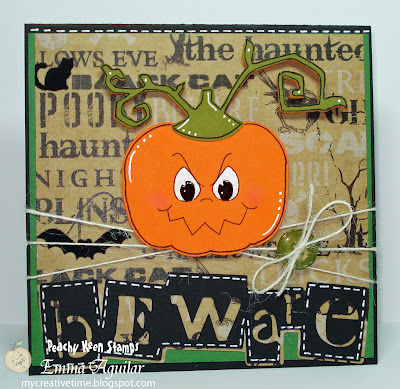 This is the PERFECT face for my "Scary" CUTE pumpkin! hehehehe!! I used the "Make A Monster" face asst! 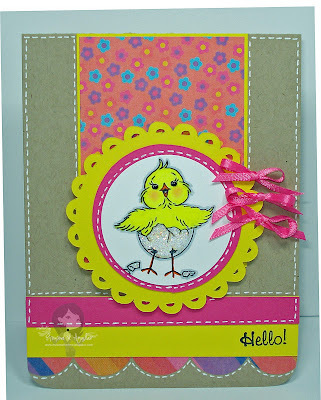 Now, for my Chickie card, I just LOVE IT!!! 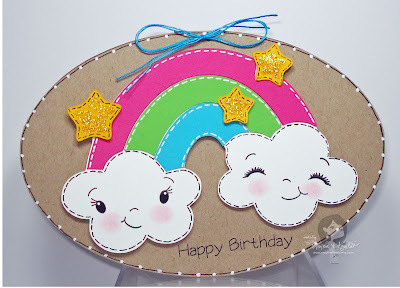 This card was sent off to the Peachy Queen!!! 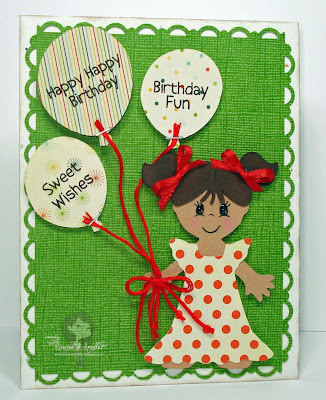 I just thought this "Candy" shaped card came out ADORABLE! 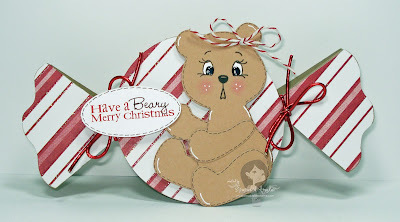 I used the die called "Tear Bear" from Peachy Keen for my card! And, that CUTE sentiment is from my "Digi Stamps" that came w/my last DvD "Gypsy Magic & more"! Well, I just can't say enough about this one!!! All I know is that I LOVE IT!!!!! I used the "Happy Lashes"
set from Peachy Keen & the sentiment is from Pink By Design! Now for my #1 ALL TIME FAVORITE CARD of 2010!!! 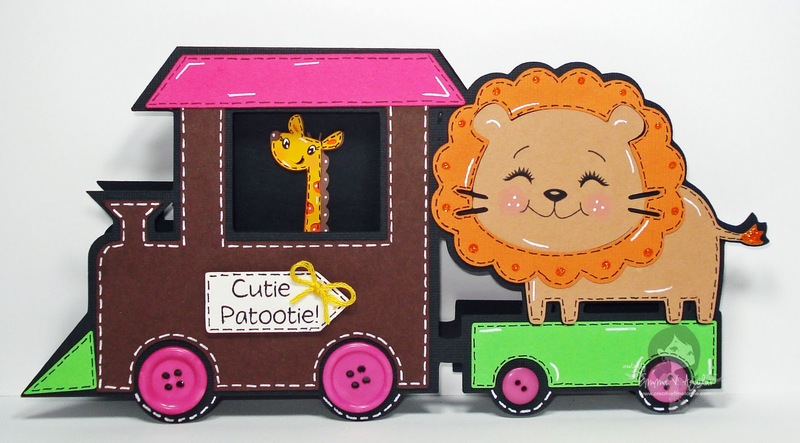 My "Cutie Patootie" choo choo train card!!! I just LOVE EVERYTHING about it!!! I used the "Critter Faces" Small & X-Large for the CUTE faces & the sentiment is from My Pink Stamper! What a wonderful assortment of cards...2010 was a good year! My fave is the skater girl...just love her happy, smilin' face, rosy cheeks and her purple polka dot get up! TFS! I love all your cards but I have to agree I love your top 10! I can't wait to join you tonight! Wow Emma, those really are adorable cards!!!! Looking at how beautiful they are really inspires me to work on my card collection! I'm looking forward to the big announcement!!! Happy New Year! I like the silvermist one. Looks like a stamp to me. Love each and every one of these cards! I will see you tonight! All of your cards were so beautiful:) I think that if I would have to make the hard choice to pick only one as my favorite it would have to be the little skater girl with cute purple dress, (Purple is my favorite color) :) Thank you so much for shanring and I can't wait to see your top scrapbook layouts. These cards are awesome. Thanks for sharing. All your cards are top 10's! Love every single one! However, the pumpkin with the attitude just pushes me over the top! Love all the cards! Your blog is one of my favorites. I am pretty new to blogging and crafting and your projects inspire me. I have been working on shrinky dinks for a week now. I will be planning on seeing the U stream tonight! emma, all of those are so cute! thanks for helping to make 2010 a fun and creative year for me! I wish you and your family a happy and safe new year! Great cards!! Thanks for reposting the train, my nephews birthday is in a few weeks and he is loving trains! It was good inspiration! 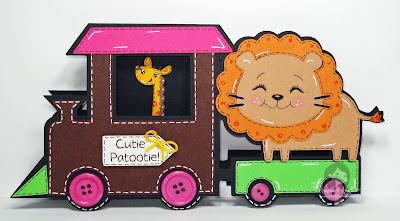 I am new to your blog, but that train pulling the lion with the giraffe conductor is awesome! Your cards are absolutely gorgeous! And cute, cute, cute! Great job on everything. You are really good at this! I'll be coming back for more inspiration, and be your newest follower! TFS!! Those super cute!! Love the train, the rainbow and the girl with the fur!!! Awesome cards I can't wait to see what you do next year! !